The Law Society’s official Twitter account has liked a tweet criticising the Solicitors Regulation Authority’s (SRA) digital badge scheme. Yesterday, the SRA unveiled a new digital logo that will eventually have to be displayed on the website of every regulated law firm in England and Wales. Using special software to “make sure only regulated firms can display it”, the badge (displayed below) is initially voluntary but will become a mandatory requirement sometime next year. However, not everyone welcomed the news, with tech lawyer Neil Brown claiming on Twitter that the badge will now mean “all law firms will have to remotely embed third party content on their website, giving each site visitor’s IP address to the SRA”. 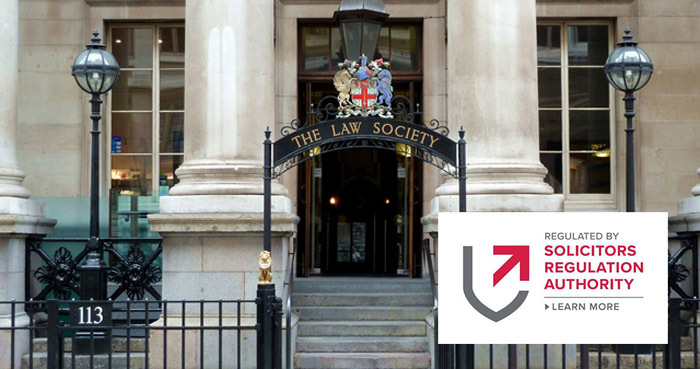 Shortly after we brought the tweet to the SRA’s attention, the Law Society’s like mysteriously vanished. The Law Society declined to comment. I think there’s an even more fundamental problem here. The claim from the SRA is that they ‘[use] special software to “make sure only regulated firms can display it”’. Now, Legal Cheek is not regulated by the SRA. Yet it has managed (through a simple screenshot) to display the badge on its website. So what’s meant to stop a fraudulent outfit using exactly the same method to put the badge on their website and thereby dishonestly represent that they are regulated? This article is so dull that even the left-wing trolls haven’t bothered to show up. Next time I see you guaranteed to be in ICU.